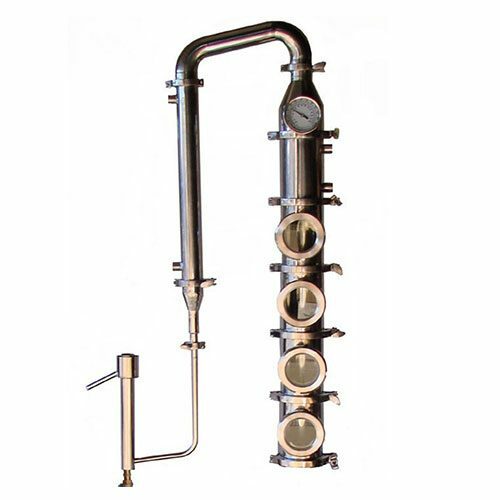 26 Gallon Copper 4 Inch Diameter Mile Hi Flute – 6 Sections Moonshine Still with a 4″ diameter copper column and 3″ Sight glass allows you to see all the action. 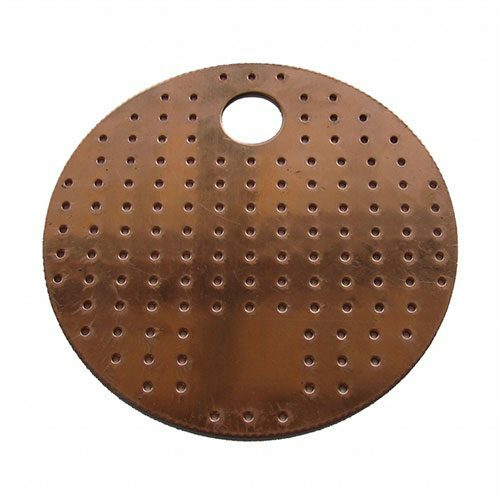 This column includes 6 copper sections with copper perforated plates and down comers for each section. This completely modular still allows you to run 3,5,8 sections to give you as much or as little reflux as you desire. Complete with shotgun condenser, dephlegmator, and a parrot to see proof and percentage of alcohol real time throughout the run. 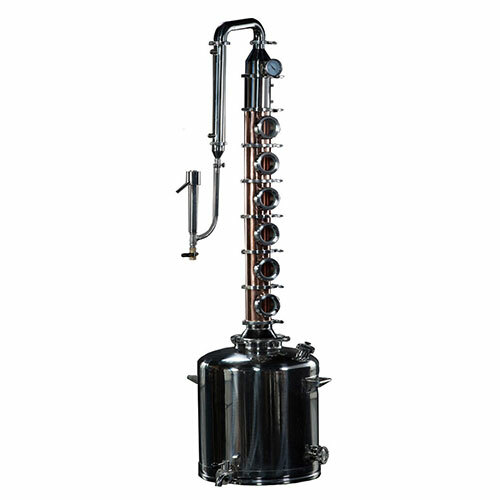 The sectional design copper flute moonshine still allows the distiller to remove copper plates and run as a stripping still or a pot still to carry over flavor. Or add all plates and sections to run high percentage 190 proof for vodkas. 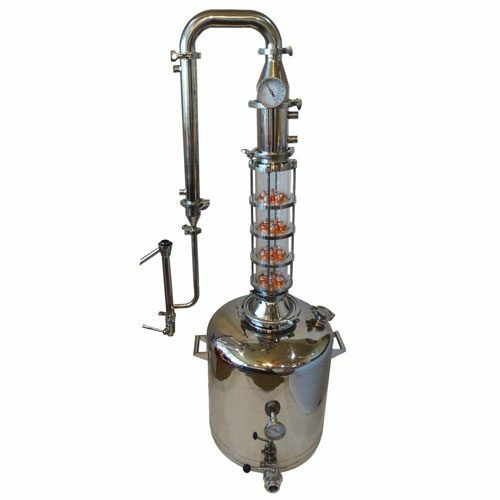 You can easily add a 360 degree sight glass with screened gasket to be used as a gin basket or an infusion chamber. Infuse the vapor with flavor for a gin, or spiced whiskey or more flavor in a brandy. Make infused vodkas. Add a packed column extension for more reflux. This still as total versatility. I received my product within two weeks. 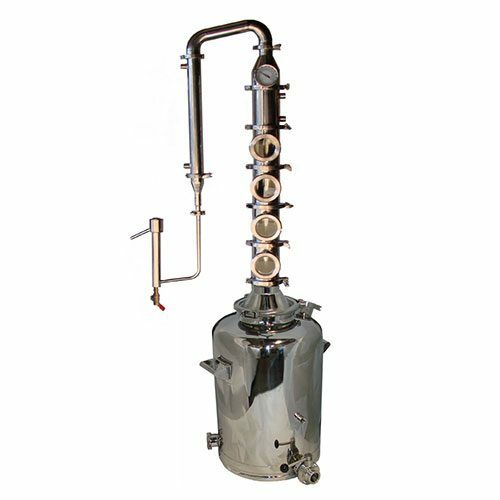 It’s a very well made still. I highly recommend it if you’re looking for something like this. It’s a beautiful still. I received my product within two weeks, fast shipping. I highly recommend this still if you’re looking for something like this. This is a beautiful still. I must say I did take two months to get it. But I’ll tell you what this thing is stellar. The craftsmanship is unbelievable. I received everything in my package. No damage everything was packed very well. This damn thing is a work of art.